Fleas are small and flat-bodied insects which are found almost everywhere. There are almost 2,000 species and subspecies of flea in the world. These are difficult to kill as they jump quickly and speedily. They have the ability to jump 10,000 times in a row. They increase their body length multiple times. Fleas mainly attack pet animals like dogs and cats as they have higher body temperature. These pests grow in warm and humid environment and reproduce rapidly. The droppings of the fleas are black colored, so, you may find small comma-shaped droppings on your cat’s skin while brushing your cat. What is a fleas life cycle? A fleas life cycle has 4 steps- egg, larva, pupa, and adult stage. The life cycle process can vary in length depending on the conditions. In ideal conditions, adult cat fleas can live up to one year. Fleas live off of the blood of cats and a female flea can lay up to 50 flea eggs per day. Flea season starts in May and goes through winter. How to tell if a cat has fleas? To check whether a flea has attacked your cat, make the cat stand on a white colored surface and brush its fur repeatedly. If black specks are noticeable on the white surface, they should be smudged with a moist cotton ball. When cats or kittens come in contact with flea-infested environment, they get attacked by fleas. Generally, the flea infested areas are backyards, inside the house, or park. Most cats catch flea through other pets that already have fleas. inflammation due to biting and scratching, and pale gums. 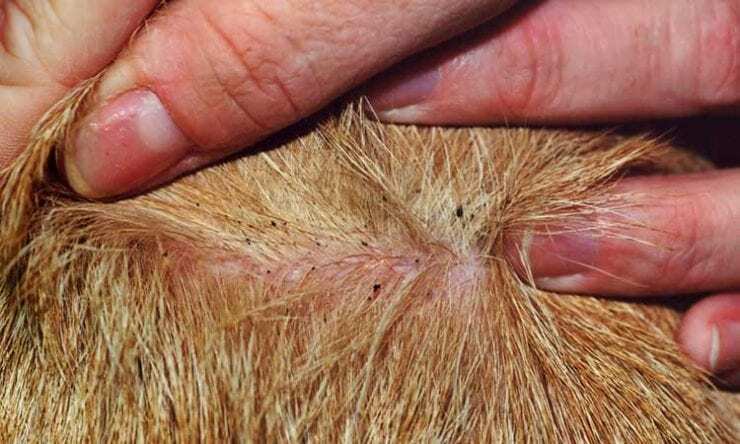 Flea bites on cats can have detrimental impacts to cats and dogs. Cats attacked by fleas may get a skin infection and/or an itchy rash. It is common for cats to be allergic to fleas causing them to a serious allergic reaction. Some cats become allergic to their saliva. In some cases, they become anemic due to blood loss. So now you may be asking yourself how do I kill fleas to prevent flea bites on my cat? If you would like to try specific products designed to treat fleas instead of using one of the remedies listed on this page there are a lot of great products currently on the market today. These products are more expensive than most home remedies so we recommend trying the home remedy path first. But for your convenience we have listed our two recommendations below. One Spray and one Shampoo for variety. There are some simple and natural home remedies to remove fleas from cat’s skin. 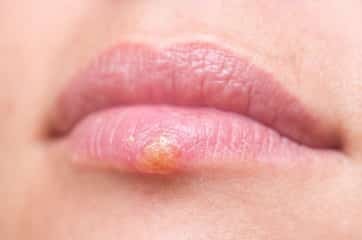 You can consider the following home remedies. You can also drench the coat of your pet with this solution and comb it gently. Generally, this remedy works for almost 3-4 days. Like for dogs, flea comb can also be used for cats. Slowly drag the comb across the hair close to the cat’s skin. Comb more in those areas where fleas are likely to hide such as base of the tail, armpits and groin. Keep a bowl of soapy water close to you. As you remove fleas, drown them in this water. DE or Diatomaceous Earth is a natural rock made up of remains of ancient tough shelled algae. It can be used after crushing it into powder. It is one of most effectual ways to get rid of fleas. 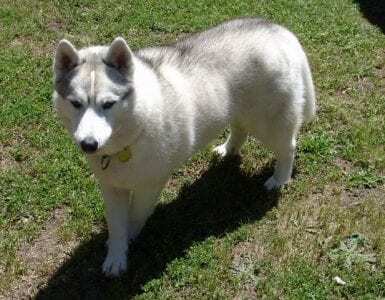 The favorable aspect of DE is that it is harmless to pets as well as humans. The sharp edges of DE can slice through the pest’s waxy and tough exoskeleton. It causes dehydration due to which fleas die. Before using it, put on gloves and dust your hands with DE. Sprinkle it onto cat’s coat or fur and rub it thoroughly. Make sure that it does not come in contact with your eyes and nose. You can also dust it on cat’s bedding and furniture. Use it once a day and once in a week on the bedding of your pet. Fleas easily get attracted towards light. We will use this fact to kill multiple fleas. Take a shallow dish and fill it with warm soapy water. You need to place it under a night light. When they jump or hop towards light, they will end up getting drowned in the water. Check the dish next morning. You will find a bunch of dead fleas. Empty the dirty water from that vessel and repeat it on a daily basis. There are two types of flea collars for cats. The first type of flea collar emits a toxic gas that kills and repels fleas. The second type of flea collar releases a substance that seeps through the fatty layers of cats skin, eventually killing the fleas on the cat's body. Flea collars for kittens can be used after the kitten has reached 12 weeks old. Flea collars are a cheap and simple solution but in some cases have bothered the neck of cats and caused fur loss. If you notice this happening to your cat try a more natural flea repellent. To get rid of flea from bedding, a flea collar can work effectively. You are supposed to cut a flea collar into four pieces. Then place it under your pet’s bed. You can also use a flea collar for fleas hopping near your vacuum cleaner. These collars have something called an insect growth regulator which prevents flea larvae and eggs. Salt water acts as a repellent for fleas. It is necessary to clean the floors and other spaces in your house with salt water. It keeps fleas away. Add some salt in water and use the resultant solution used for cleaning. You can also sprinkle salt directly on the carpet to kill larvae and eggs of these nasty pests. Note- If you reside in an area where the humidity level is higher, then, this remedy is not for you because salt absorbs water resulting in a musty carpet. It is essential to maintain a clean and hygienic environment in the house to avoid the growth of fleas. Use lemon solution for washing floors. Get a half gallon of water and add four finely chopped lemons in it and mix it well. Use this solution to wipe the floor. White vinegar is also one of the best remedies to eradicate fleas from cats. Use white vinegar while cleaning or giving a bath to your pet. Add some white vinegar to water and pour it on the body of your pet to prevent flea infestations. Cedar chips are used to keep fleas away. You can place cedar chips on pet’s bedding. You can also place it around outside spaces to control the growth of fleas. Another simple home remedy to treat fleas is to use rosemary leaves. The anti-inflammatory properties of rosemary stimulate the growth of hairs which were previously lost due to the itching caused by flea bites. Get a handful of dried rosemary leaves and churn them into a fine powder. Sprinkle this powder over those areas where the pet plays as well as sleeps. You can also prepare a dip with the help of rosemary leaves. Take two cups of fresh rosemary leaves. Boil some water for half an hour. Let the rosemary steep in this water. Remove it from the heat. Wait till it becomes lukewarm. Now soak your pet into this water and pour the rosemary water over it. Allow your pet’s body get dried itself in the sunlight. It is very necessary to have plants or herbs in your garden which keep fleas away. Planting the herb tansy in your backyard will help to repel fleas. You can also grow eucalyptus, lavender or fennel in your yard. Aromatherapy checks the growth of fleas. All you are supposed to do is to rub your pet’s collar with essential oils. This acts as a repellant for fleas. 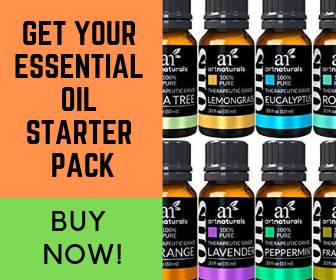 You can use any of these essential oils like tea tree, lavender, eucalyptus, geranium, cedarwood, and citronella. Spread essential oils across rope collar or bandana to prevent flea’s infestation. 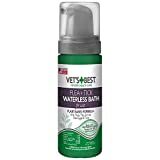 Give your pet essential oil bath, so that, it could overcome itchiness. It can also be used in the form of dip. You can choose lavender, tea tree, or rosemary essential oils for best results. Note- Some pets are allergic to scented essential oils, so consult your Vet before trying out this remedy. To get rid of flea’s infestation, you can use aloe vera as a natural remedy. Combine cayenne pepper with aloe vera juice. Mix it well and pour it into a spray bottle. Alternatively, you can use aloe vera juice with essential oils. Add just one drop of essential oil to one cup of aloe vera juice. Lemon with its citrus acidic properties kills fleas. To prepare a repellant with the help of lemon, cut lemon into quarters and put them in boiling water. Let it submerge completely. Steep it overnight. Pour this resultant water into a spray bottle. Squirt the solution on the flea affected areas of your pet like behind the ears, head and at the base of the tail. Or else, you can soak a piece of cloth in the solution and rub it gently on the infected regions. Note- Cats are very sensitive to the smell of citrus. So, use this remedy cautiously. Avoid direct application of lemon on its skin. Stash earl grey tea acts as a natural repellant against fleas. Spread some tea from the packet on a carpet. Vacuum it up after a few days. This will reduce the infestation of fleas. Some dishwashing liquids are also effective for repelling fleas. You need to add a few drops of blue-colored dawn dishwashing liquid in regular bathing water of your pet. 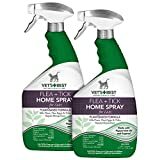 This kills fleas and provides relief to pets. Use it as a shampoo for your pet. Ensure that you rinse it thoroughly to prevent irritation on the skin. Mix 2 tablespoons each of sunflower oil and peppermint oil, ½ teaspoon vinegar, ¼ cup lemon juice, 3 tablespoons water, 1 teaspoon clove oil and a pinch of garlic powder in a spray bottle. Shake well and spray on the skin as well as the fur of your pet. Note- This spray is not harmful, but we suggest you to consult your Vet before using it. It’s essential to take preventive measures at early stages of any infection. It helps further treatment favorably. But, if proper steps are not taken initially, the condition may become worse. Regularly vacuum the carpets to get rid of fleas. Clean the floors and walls of the house with water daily. Use borax powder for cleaning. Use hot water to wash home fabrics. Choose non-toxic ways of killing fleas. Keep yard neat and tidy to avoid flea infestations. Keep the lawn short and mow it regularly. Sprinkle DE or diatomaceous earth around the yard. Give regular bath to pets and keep a check on fleas. Avoid feeding garlic to cats. Do not plant trees which attract deer. Abstain from the use of typical flea treatments which are meant for dogs. When pets are pregnant, do not use topical flea treatments at all. Do not use pennyroyal oil flea treatment. Don’t make use of excessive citrus sprays or essential oil sprays. Because kittens are young and fragile it is best not to apply spray or medication on them. Instead, remove the fleas yourself with tweezers. It is easiest to do this after having placed your kitten in a warm bath. If your home has a flea infestation your cat is also likely to become infested with fleas. And likewise, if your cat has fleas your home may become infested. In addition to the previously mentioned floor washing and soapy water flea trap here are some additional home remedies to combat the flea problem. Baking soda- If you have a flea infestation in your carpet vacuuming is one of the best ways to remove them. Brushing baking soda into the carpet before vacuuming increases the effectiveness. Salt- Spread finely ground salt all over your carpet and let it sit for a day before vacuuming it up. Salt is a dehydrating agent that aids in getting rid of adult fleas. Marigold- These flowers have many benefits, one being that they serve as a natural flea repeller. Keeping a vase of marigolds in your house will do more than just make the room look nice. While home remedies are helpful in managing a cat flea problem, the majority only affect adult fleas. This leaves out flea eggs and larva creating an opportunity for another infestation to occur. In some cases, it may be best to consult with a professional pest controller.